Kruger National Park is popularly the most fascinating South Africa safari destination to many avid travelers. Being one of largest parks in the world, the vast Kruger National Park, about 19,485 km² (only 1285km less than the size of Israel) is big enough to offer amazing wildlife interactions and jaw-dropping views to every single tourist in the park. North-East of South Africa, Kruger’s main habitat is woodland savannah, with vegetation relatively thick throughout the year, especially during the Wet season. With a gently undulating landscape the park has its highest peak at Khandzalive (839m), in the southwest. The sought after big five wild animals in Africa (Buffaloes, Rhinos, Elephants, Lions and Leopards) are hosted by the park with an estimated total of 1,500 lions though with heavily threatened rhinos. Antelopes including the greater Kudu and the very common Impala are found in the park. As far as game drives for up close viewing are concerned, the southern portion of the park is lusher and more wooded than the drier central and northern regions, and has the largest concentrations of game. However, those with extended safaris in Kruger can have an added wilderness appeal on a game drive further into the less-visited tracks and trails of the north. A night game drive is a hot favorite of all wilderness lovers who visit Kruger as experienced guides drive you deep into the Kruger jungle up close to its most nocturnal animals. Kruger National Park isn’t only a wildlife haven but also home to the beautiful feathered birds that can be sighted throughout the year. Bird species possibly sighted in the park include the Southern Carmine Bee-eater, Violet-backed Starling, Black-headed Oriole, African Green Pigeon, Blue Waxbill, Crested Barbet, Lilac-breasted Roller, Red-headed Weaver, European Bee-eater, Woodland Kingfisher, Bat Hawk, Sanderlings, Grey Plover, Greyheaded Gulls, Cape Wagtail, hawk Eagle, Brown Headed Parrot, Black Headed Orioles, Black Stork, Crested Barbet, cormorants, White-fronted Plover, White-breasted Cormorant, ostrich, Green Pigeon, Yellow billed kite, Red billed woodhoopoe, Black collared barbet, Golden tailed woodpecker, Helmeted guineafowl and many more. 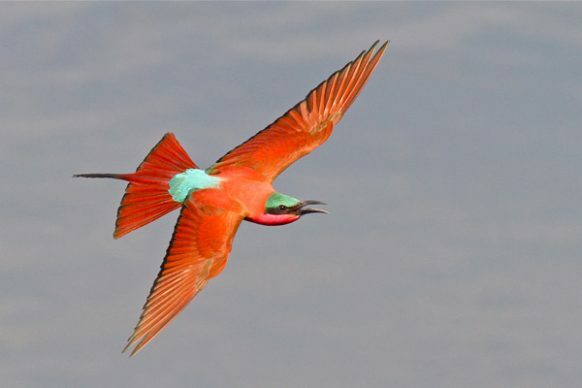 During the months of November to April, the most colorful migrant birds from Europe and Northern Africa come to the park for a holiday and can easily be spotted. Kruger’s excellent road network means that most areas are accessible even with two-wheel drive vehicles. Often belittled for being “tame wilderness” because of good infrastructure, this huge park measures 414 kilometers from Crocodile Bridge in the south to Pafuri Gate in the north. With this good road network whether you’re a first time South Africa wildlife safari tourist on a self-drive trip the park is accessible compared to any of Africa’s renown safari parks and you just can’t leave disappointed. Besides wildlife, Kruger park is the land of Baobab trees, fever trees, knob thorns, marula and mopane trees. Your schedule may change but seasons here slightly change, therefore planning your safari right is the best option. Throughout the year, wildlife is present in the park though wildlife viewing in the Wet season is more challenging due to thick vegetation. Months of May- September are more favorable for safari with milder temperatures, clear skies and better photography shot opportunities. However, if your interest is birding then the wet season which is in the months of October-April is the best especially for sighting of the migrant bird population. Africa is never disappointing when it comes to the beauty in the wild. For the big five wild animals, encounters can be made on a Uganda wildlife safari, wildlife safari in Tanzania or Kenya wildlife safari alongside many more wildlife safaris. Getting up close to wildlife is a much more than holiday but a refreshing trip. 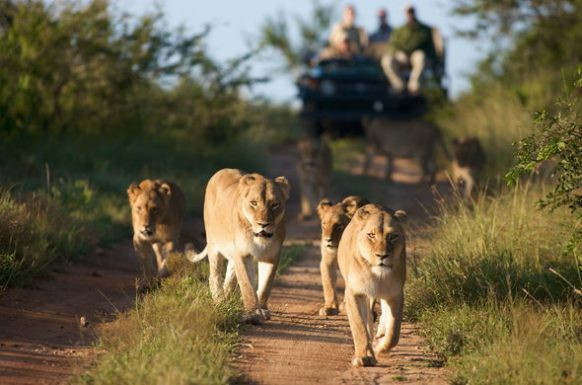 For the time-constrained traveler wanting to experience the essence of a wildlife safari in South Africa, opting for about 2-3 days within Kruger National Park offers a memorable experience.